When you have to create a 3d model for architectural in Blender, you will have to apply and use tools related to polygon modeling. Working with polygons have both advantages and downsides. On one side it offers an easy and straightforward way to make 3d geometry. But, depending on the way you design your project and the number of curved surfaces, you will have to move away from polygons. You cant make a curved edge using polygons. Instead, you will subdivide that edge multiple times to create something close to a curve. However, you can use an alternative in Blender to create 3d models that require proper round surfaces. You can use Bezier Curves. They don't have the same amount of tools and options in comparison to polygons but will generate properly curved surfaces. Even in the Add-ons realm, you will only find a handful of them working with curves. If you want to start working with curves to create architectural models, you should take a close look at a free Add-on called Bezier Curve CAD Tools. 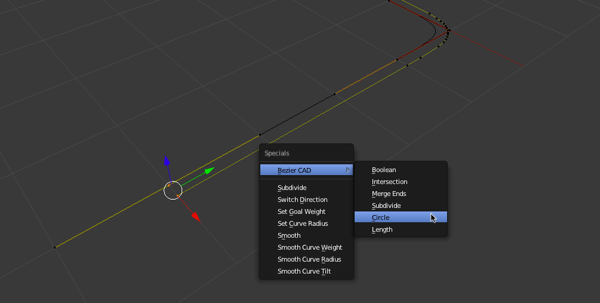 Those are just a few of the tools available for handling curves in Blender. As a bonus, you will also find options to export your models in SVG or G-Code for both laser cutting and CNC machines. If you need curves to create a unique shape for architecture in Blender, you should consider this Add-on to make your modeling a lot easier. We also have an introductory called Blender basics for architecture, which is free.